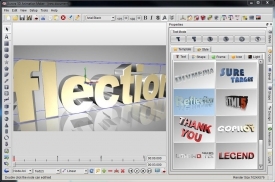 "Add a visual boost to your website using Aurora 3D Animation Maker to create beautiful eye-catching 3D animations." Add a visual boost to your website using Aurora 3D Animation Maker to create beautiful eye-catching 3D animations that literally transforms your text and logos into professional looking creations. Using a single timeline, you are able to control every individual aspect of your animations when you are creating them. This includes the length of the animation, speed of the animation's playback, and a lot more. Of course, the animations you make have a lot of options to use your creativity to create the perfect animations for your website. You get a lot of personalizing options that will make sure your animations are truly one of a kind and will only be seen on your website. This will make your website a lot more unique and stand out from the rest. Aurora 3D Animation Maker has a lot of great features to make sure you can use your creativity to it's maximum without many restrictions. You have key-frame animations, using a single timeline to control all of the aspects of your animation. You also get particle effects which will give you more splendid scene effects, such as space radiation, rain, snow, fireworks, smoke, and more. This will make the animation you are creating seem more alive and definitely get your visitors' attention. Another few great features is that every object can have different types of animations, such as making it rotate, swing, beat, wave, fade, pulse - all of which is considered an internal animation style. 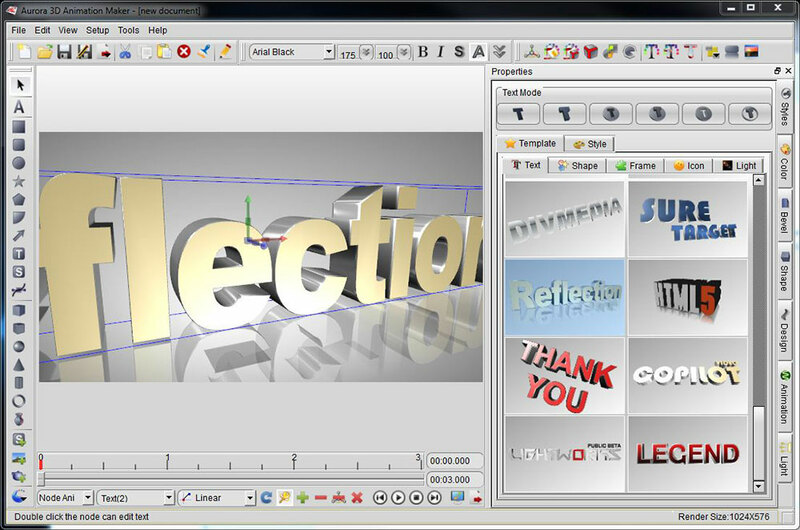 Aurora 3D Animation Maker also has a 3D manipulator. This allows you to control the object's position, scale, and angle. You can also extrude the text or shape. 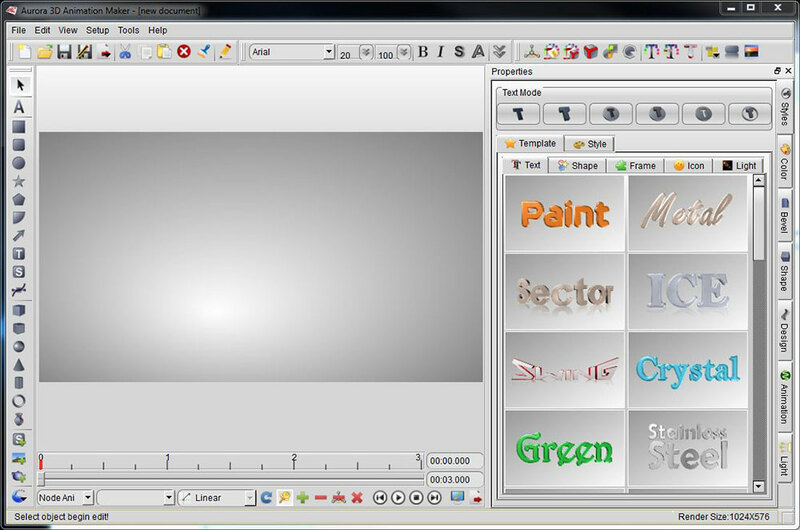 You can also make your own shapes with Aurora 3D Animation Maker. You get a few options that allow you to create shapes very easily using a freehand tool, shape tool, while all allowing you to edit the shape. You can also import shapes with SVG file format to add to the canvas of the shape you are creating, while allowing you to edit the nodes of the shape. All in all, you get a lot of options with Aurora 3D Animation Maker that will allow you to make your website stand out from the rest and make it a lot more interesting than it would be without.